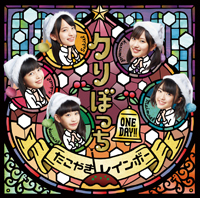 [Single] 5th Kuribocchi ONE DAY!!! Nice! Stardust christmas songs are my jam. 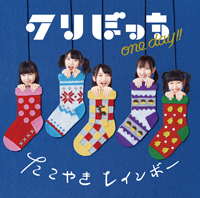 ^ In my opinion this single is better than the previous. I think they are finding their way. 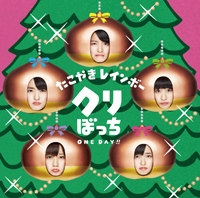 I think that Nanba Samba 2 is the best song in this single, with special mention to Sakura's solo initial and choreography of the musical bridge. It's actually Namba Sanbaijaa. 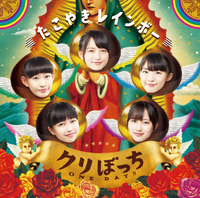 As far as I know this is still not the same song as Namba de Samba 2, as they have performed both, under separate titles, at the same event before, but Sanbaijaa is still not on the track list for the single. Darn! it's restricted in America, I even tried Ublocked youtube! Those are the greatest covers stardust has had on a while. I want the Kansai-only cover on a T-shirt.